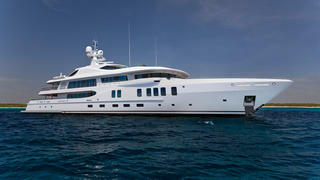 Antoine Larricq at Fraser Yachts has contracted with the Amels yard to build a 67.1 metre new construction motor yacht. To be built in steel and aluminium with exterior design by Tim Heywood, she will be the fourth hull in the Amels 212 Limited Edition range and is scheduled for delivery in 2019 with an extended main deck aft and a large beach club. British design studio Winch Design has been appointed to style the interiors. In 2011 Amels delivered the first Amels 212, Imagine (now renamed Infinite Shades), whose owner was also represented by Fraser Yachts. VF Yachts, the in-house Project Management division of Fraser Yachts, will undertake the project management of the vessel and has already been working closely with the owner and the Amels project team.